My OB Gyn for 23 years, Dr. Edward Yosowitz, has retired from surgery. His partner, Dr. David Edward Zepeda, was highly recommend by my doctor. They have worked together for many many years. I love them so so much. They have a very good bedside manner as well as they’re able to ease whatever fears and anxiety you might have. Before my hysterectomy, Dr. Zepeda explained everything he was going to be doing the day of my surgery. He’s a sweetheart and treats everyone of his patients with the utmost respect and sees over their after care very closely. He is just the best in my opinion. I trust both Zepeda and Yosowitz with everything I have in me. Is this Review about David Edward ZEPEDA helpful to you? I’ve been seeing Dr Zaiden since my pregnancy with my almost 20 year old daughter. He has always been phenomenal. He is the smartest and most empathetic doctor I have ever known. He remembers little details that I mentioned years ago. He delivered my youngest, diagnosed my endo, performed laparoscopic bladder lift, endometrial ablation, he treats my thyroid and hormonal distinctions and next month will perform my laparoscopic hysterectomy in which I will only receive ONE belly button incision. I am in excellent hands and you will be too if you visit one of his offices in Clarkston, Lake Orion, Bloomfield Township, or Royal Oak. He’s so good I even send my daughter there. Is this Review about Jonathan Thomas ZAIDAN helpful to you? Dr. Stowers is quite possibly the best doctor in the whole world. He is incredibly caring, knowledgeable, helpful, gentle, comforting, and so much more. He is particularly sensitive in how he treats patients with past trauma, especially sexual abuse. After twenty years with other providers attempting to treat my severe endometriosis, PCOS, menometrorrhagia, I was thinking no one would ever help me. At my first appointment, I told his MA about the abuse I had endured and she let Dr. Stowers know. He was absolutely sensitive to that, understanding of why I was scared. And he listened to my medical history of trying to treat all my conditions and instead of repeating procedures and tests that all the other doctors felt were necessary, he took action and only ten months after my first appointment, we took care of the problem once and for all. I will recommend Dr. Stowers forever and ever. Is this Review about Mark A STOWERS helpful to you? He is caring,he listens which's good but unfortunately I did not get the results I was looking for. Is this Review about Joel BECK helpful to you? Dr Davis is not only an awesome doctor, but a good man as well. He is faithful in keeping up communication both by phone and Onechart email. He has a great personality and a caring bedside manner. I am forever grateful that he accepts patients with my particular insurance. He’s done a good job figuring out the what’s and why’s of my female issues and worked hard to get insurance approval for my hysterectomy. He also didn’t rush me out of the hospital after surgery, but let me decide when it was time to go home. Is this Review about Myles Donen DAVIS helpful to you? I was involved in a really bad car accident and was recommended to try acupuncture treatments. After reading a lot of reviews, I came to Philadelphia acupuncture Clinic. Glad I did it. And more glad that I found the best one as I saw cheaper places but you get what you pay for. Highly recommend. Dr. Kakani is/has: 1) extremely patient & excellent bedside manner. 2) always smiling 3) explains diagnosis in detail and offers various options to help with the issues at hand. 4) excellent follow-up skills After exhausting all of my options, an MRI of my sinuses, and a very thorough review of MRI results, we decided to take the surgical route (no pressure - he seriously only wants you to be comfortable). Dr. Kakani successfully fixed my deviated septum, opened my nasal cavities so I could breath again. His pleasant and professional demeanor make him stand out and I would recommend him to everyone. Is this Review about Rajesh S KAKANI helpful to you? I had an excellent services both time at Lexington Plastic Surgeons. My first visit was over two years ago but I must say the service provided is still expedient and professional as before. Everyone was so friendly and welcoming. Is this Review about Michael JONES helpful to you? Based in NYC, the team at Smile in the City is made up of down to Earth, non-judgmental medical professionals who specialize in treating patients with dental phobia. Is this Review about Nargiz SCHMIDT helpful to you? When I found out I needed a supracervical hysterectomy, I spent a lot of time researching the best doctor for the job. After seeing 6 doctors (YES - 6! ), I found Dr. Advincula with Columbia Presbyterian, to be the most professional, respectful, compassionate, and experienced doctor, and chose him without a second thought to perform my minimally invasive surgery. He told me exactly what my options were, and took his time to answer all of my questions. He used the ExCite procedure, a minimally invasive tissue extraction, along with DaVinci robotic surgery. It's been 3 days since my surgery, and I'm almost feeling back to myself (barring some soreness). I highly recommend him! Is this Review about Arnold ADVINCULA helpful to you? He is a spiritual man and a great doctor .He takes his time with the patient and listens to what you have to say. Is this Review about Martin W WEBB helpful to you? Great job Lexington Plastic Surgeons. You properly greeted me, the facility was nice and clean. Everyone was helpful from beginning to end. I will definitely recommend my friend and family to your practice. Dr. Oh has been my OB for several years now, ever since I had an abnormal PAP in 2008. He performed my LEEP surgery in 2009. He is very personable and really cares about his patients, listens to their concerns, and takes them seriously. He even kept tabs on my family when my grandmother was dying. He goes above and beyond when it comes to bedside manner and I've never felt more comfortable with a doctor in my life. Before my LEEP procedure, he pulled myself and family into his office and explained everything to everyone's satisfaction because we were all scared. After leaving that appointment, we all felt much better and confident. He worked with me on post-op appointment scheduling too since I did not have insurance to ensure that I was taken care of but not financially strained. He's really been wonderful. Is this Review about Andrew Joseph OH helpful to you? Dr. Reed was very patient with me explaining the different choices available and why he recommended the ones he did. He answered every question my mother and I could think of and was very hands on through the whole process. His staff was wonderful. Is this Review about Mark Edward REED helpful to you? My experience at Lexington Plastic Surgeons was great. Dr. Jones and the nurses were kind and courteous. I like that they saw me in a timely matter and respected my time. My surgery was QUICK. After my surgery Dr. Jones gave me all of the after care information that was needed for me to heal quickly. Dr. Boos is one of the kindest and most gentle doctors ever! He is so compassionate and concerned for his patients. He is great at explaining things and takes the time to answer your questions. He explains things with analogies so that I can understand him better. 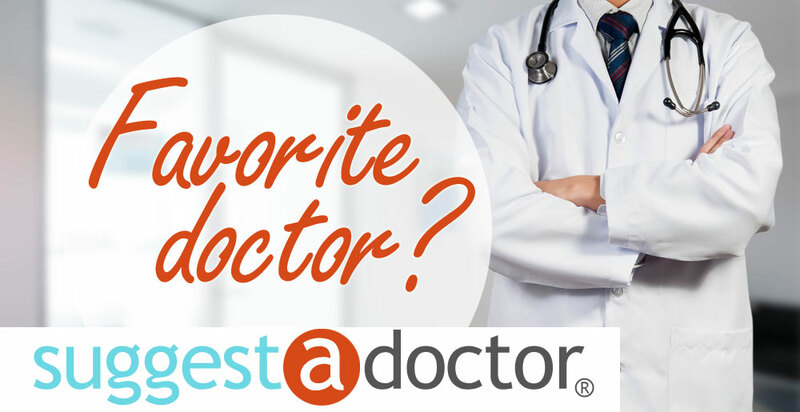 My husband even mentioned during my hysterectomy that he is the best doctor ever. He has been my gynecologist since I was a teenager and he was my OB for all of my three children. Is this Review about Michael BOOS helpful to you? I had been diagnosed in July 2017 and have had three surgeries since. Two of those with Dr. Sinervo. I was one of few women who had endo on my diaphragm and had to have a second procedure with another specialist for thoracic. Dr. Sinervo took me seriously, always answers all of my questions thoroughly and I am looking forward to hopefully some pain free years in the future. His staff is awesome. Both surgical directors, Beth and Jean are fantastic and they always go above and beyond to explain everything! I wish more offices were like the CEC in Atlanta! Dr. Leibman is a outstanding professional in his field. Is this Review about Maurice Norman LEIBMAN helpful to you? I recommend this Doctor. I recommend this office. Overall a pleasant experience with no hassle. She is very informative with all the information you need to know. She is an amazing doctor. Is this Review about Zoyla Ascencion ALMEIDA helpful to you?